Described:all color variations have a wide white head band and a wide white middle band that looks like it forms a “saddle”. 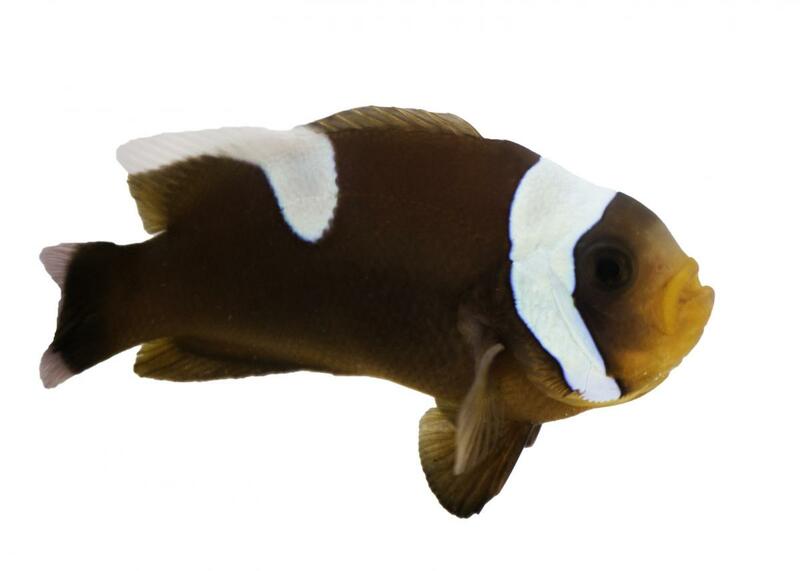 Though one of the more delicate clownfish species, the captive-bred SA Saddleback Clownfish (Amphriprion polymnus) is still a unique and very interesting addition to nearly any tank. They’re unusual “up and down” swimming motion is always entertaining to watch, and a very endearing quality unique to few fish. Though not necessary in their tank, they are known to associate with the Sebae anemone (Heteractis crispa) and the Haddoni carpet anemone (Stichodactyla haddoni). 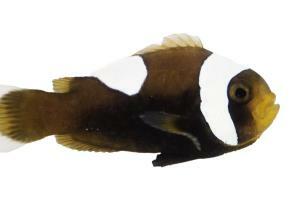 Being one of the larger clownfish varieties, it is recommended to house this fish in a tank no less than 30 gallons. This fish is found throughout the Indo-Pacific region, from Taiwan southward through New Guinea to the northern coast of Australia. 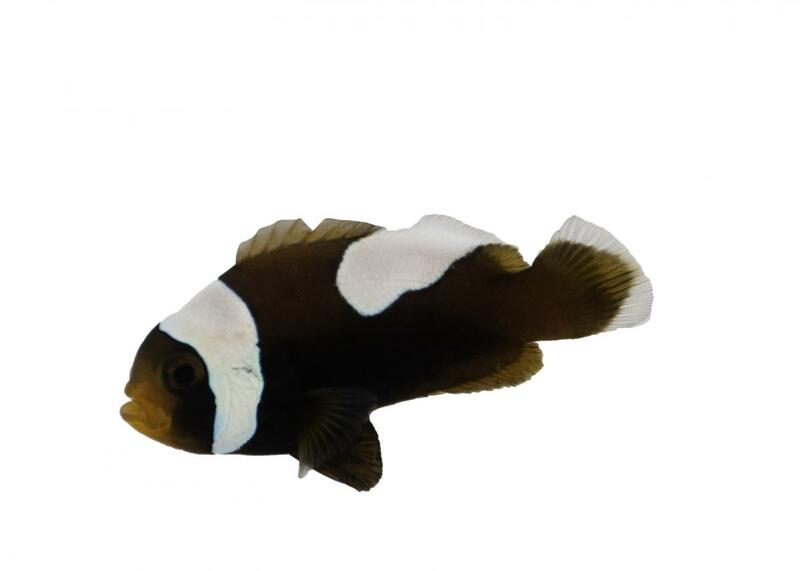 This clownfish has a light to dark brown body with an orange face. Their body shape is more sleek and oval shaped, resembling the Sebae and Latezonatus clownfish. They have a wide, partial center bar, which resembles a saddle, hence the “Saddleback” name. 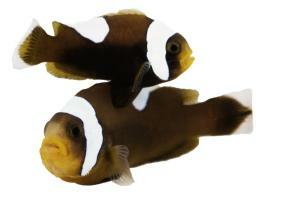 Peaceful overall, the Saddleback will typically not bother other tankmates. 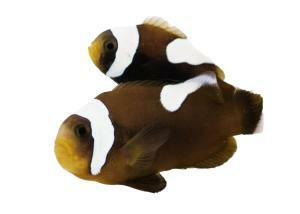 They are found in groups in the wild, so they are more tolerable of other clownfish than most. The Saddleback Clownfish grows up to 5 inches in length. 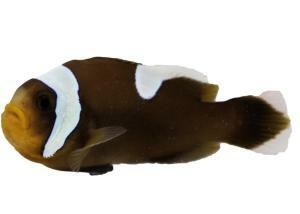 Diet: Like other clownfish, the Saddleback is omnivorous, and should be fed as such. 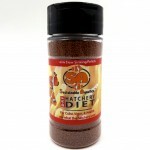 Meaty, enriched foods such as mysis shrimp or spirulina brine shrimp are excellent suggestions. They will also accept pelleted foods, such as our own Hatchery Diet. Thank you for stopping by and checking out our website! Sustainable Aquatics is an ornamental marine and freshwater fish hatchery, located in Jefferson City, Tennessee. 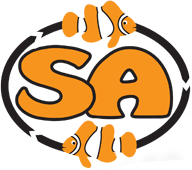 Sustainable Aquatics’ history and mission are to serve all its constituents; customers, partners, vendors, employees, suppliers, the environment, and future generations by advancing processes and practices that benefit all and make things a bit better in quality, service, delivery, and value. We would love to have you follow us on Facebook!